Short or long-term assistance when you need it most. Homecare and one-to-one support have become an increasingly popular choice for many people; this allows them to remain in the comfort of their own home, surrounded by the people and things they know and love the most, enabling freedom and independence for as long as possible. Homecare can be one or multiple visits from a member of the support team to offer support with daily tasks. How do I choose the right homecare package? After acknowledging and admitting care is needed, choosing the right Home Care Agency can be a daunting prospect. Nurseplus Homecare services have been arranging reliable personal homecare support services throughout the UK since 2005. We have a rigorous recruitment procedure and carry out enhanced DBS checks ensuring that Personal Assistants, Carers and Nurses are appropriately trained and can be provided around the clock, for people with varying care and support needs. We offer personalised and tailored support services, with care calls ranging from 30 minutes to 24 hours. So, whether you just need someone to pop in a few times a week, assistance with daily tasks, whether its temporary care following a stay in hospital just to help you get back on your feet, or a more permanent arrangement, Nurse Plus care staff can help. Your peace of mind is key in all aspects of your care plan. We want you to have choice, flexibility and control over the care and support you receive; and to promote your independence by working together with you, your family, friends, and professional services to make this happen. Nurseplus Homecare services are registered with the Care Quality Commission and are a member of the Recruitment & Employment Confederation. To speak to us about our Nurseplus Homecare services, please contact your local Nurseplus branch. Like the idea of working in healthcare? But, not sure if you’ll fit in? If you’re passionate about helping people, finding a job in the healthcare industry can be one of the most rewarding career choices there is. 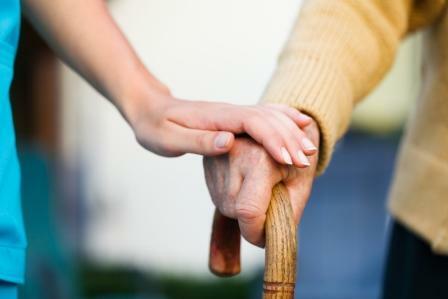 View the key qualities and attributes to a career in care.